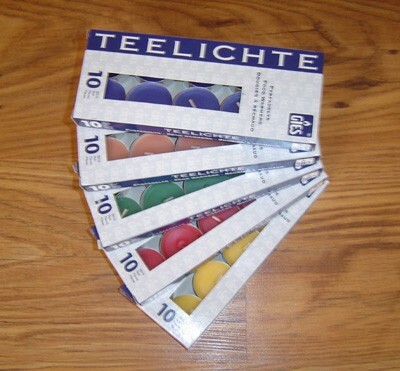 Pack 10 coloured 4 hour tea lights from Europe (Germany). These tea lights will give you much more light and a cleaner burn than any Chinese product on the market. Size of each tea light 16 x 38mm - Burn Time : 4 hrs minimum each.